Potassium: Avocados possess more potassium per serving than bananas. Several studies show that having a high potassium intake is linked to reduced blood pressure, a major risk factor for heart attacks, strokes and kidney failure. 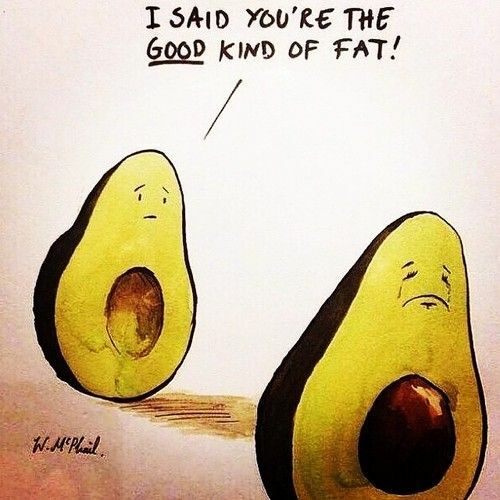 Monosaturated Fatty Acids: This is probably avocados most recognized and touted health benefit. In fact, 77% of it’s calories come from fat. But before you panic, remember that it is a monosaturated fat, and has the potential to lower the cholesterol that bad fats may raise. Fiber: Avocados are even high in fiber, with about 4.6 grams in half an avocado. Fiber plays an essential role in your digestive, heart, and skin health, and may improve blood sugar control, weight management, and more, so when you eat avocados you’re really providing your body with a comprehensive package of nutrition. Vitamins & Minerals:: Magnesium is a mineral used by every organ in your body, especially your heart, muscles, and kidneys. By some estimates, up to 80 percent of Americans are not getting enough magnesium and may be deficient. If you suffer from unexplained fatigue or weakness, abnormal heart rhythms, or even muscle spasms and eye twitches, low levels of magnesium could be to blame. Better still, avocados are one of few foods that contain significant levels of both vitamins C and E. One study also found that a combination of vitamin C and E helped to slow plaque build-up, which could help prevent a heart attack or stroke. You can of course enjoy this luscious little fruit straight out of it’s leathery shell, (did we mention that a pinch of pink himalayan sea salt does wonders? ), but for a full blown, religious experience, whip up some avocado toast and add it to your daily routine. Try this simple, creamy, and slightly spicy version, and thank us later. Start by slathering some Vegenaise on your toast, then top with sliced avocado (usually about half of an avocado per slice of toast). 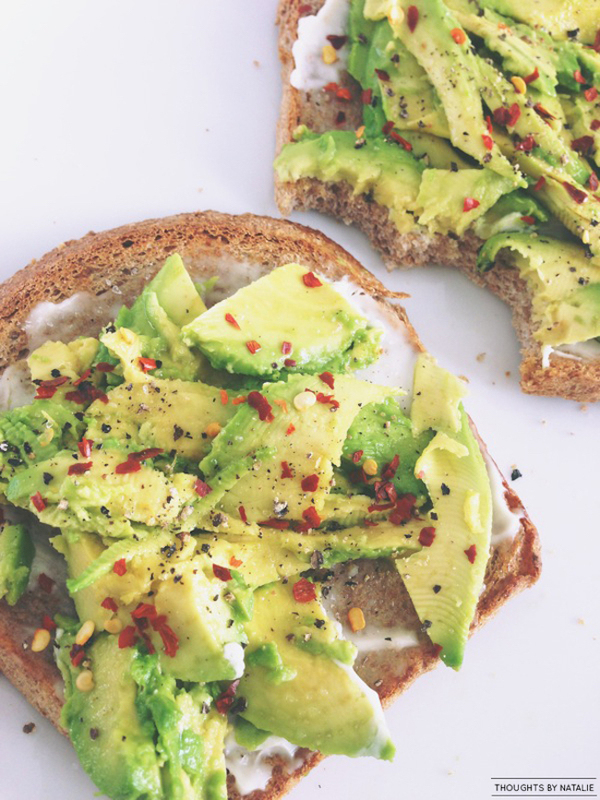 Sprinkle salt and pepper over the avocado, then finish it off with a squeeze of lemon juice and a dash of red pepper flakes on the top.